Early support by Maya Jane Coles, Laura Jones, Magda, Christian Martin, Riva Starr, Soul Clap, Maxxi Soundsystem, DJ Sneak, Laurent Garnier, Luke Solomon, Totally Enormous Extinct Dinosaurs, Dubfire, Tensnake, Kiki, Steve Lawler, Flashmob, Worthy, Kaiserdisco, Till Von Sein, Martin Eyerer, SevenDoors. 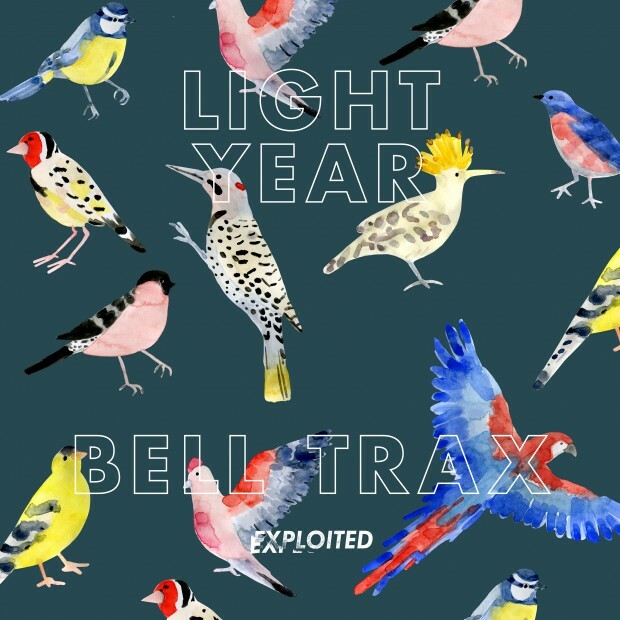 In keeping with the theme of creating house records that reference the past while having a firm eye looking into the future Light Year returns with his third instalment for Exploited Records. Bell Trax finds the Australian producer stretching out a warm colourful enveloping arpeggio that ebbs and flows as the track evolves over its almost 7 minute duration. The crunchy drum track elements push the track forwards inspired by the warmth of vintage tape recordings. Bell Trax is gimmick free 4/4 club music! The b-side Smoking Causes Blindness keeps with this warm saturated feel laid out by the lead track. Utilising a chunky rolling bass line and a crisp synth pad this track will burn through frequencies if you’re not careful. Anchored in the breakdowns with an inquisitive vocal asking ‘thats what this is all about, right?’ before the low end kicks back in and answers the question for you.